Rev. 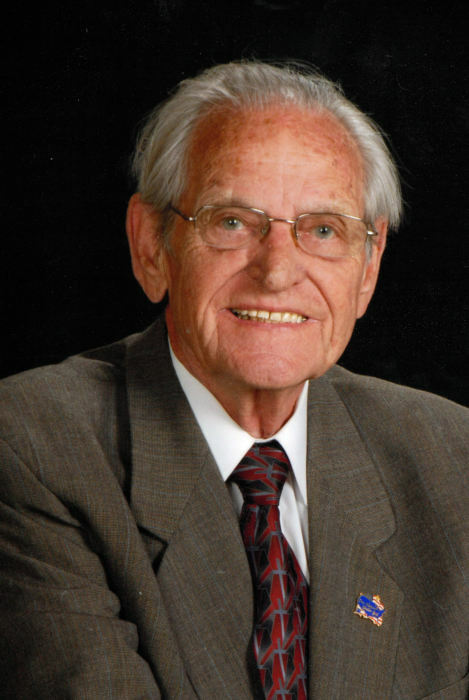 Billy Dean, 88, well -known Pastor for over 71 years, of East Ridge , passed away Wednesday, November 28, 2018 at his residence. A lifelong resident of Hamilton Cty., Rev. Dean was called into the ministry at the age of 17 and actually began pastoring Shany Town Baptist, Sand Mountain at that time. Before his retirement in 2009, Rev. Dean had served as pastor of Bethel Baptist, Philadelphia Baptist (twice), Beacon Baptist, Palmer First Baptist, Maranatha Baptist, and Frawley Road Baptist. He was employed with the Chattanooga Police Dept. for over 30 years. Rev. Dean held memberships with the East Ridge Masonic Lodge #755, Alhambra Shrine Temple, Scottish Rite, East Ridge Old Timers, Kiwanis Club, Half Century Club, Hamilton County Baptist Association, East Ridge Ministerial Association and the East Ridge Education Committee. He was preceded in death in 2015 by his wife, Jo Dean; sister, Virginia Mitts; brothers, Thomas, Laddie and Samuel Dean. Survivors are his son, Hamilton County Criminal Court Clerk Vince (Debbie) Dean; grand-daughter, Sallie Dean; all of East Ridge; brother, James Reuben (Peggy) Dean, Ft. Oglethorpe; special friends, Bill Giffe and Brianna Layne. Services will be held Saturday, December 1 at 12 noon in the funeral home chapel with Rev. Bill Gardner and Rev. Bill Lowery officiating. Burial will follow at Tennessee Georgia Memorial Park. Memorial contributions may be made to the Tennessee Baptist Children’s Home. The family will receive friends Friday from 4-8 p.m. at Heritage Funeral Home, 7454 E. Brainerd Road.